Musician Mr 2kay acquires new Lexus car worth N10M! 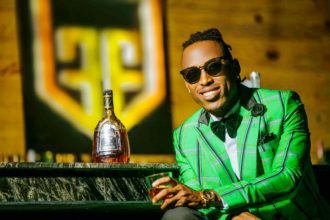 Popular musician, Mr 2kay has joined the endless list of celebrities who have acquired expensive cars in 2018. The music star has hared photos of his newly acquired sleek 2015 Lexus 250 sedan car said to be worth 10 million naira, on his Instagram page over the weekend. Cheers to Mr 2Kay for this new ride as we continue to see him rise in the music industry. Definitely, 2018 has been a good year for a number of Nigerian celebrities who have bought new cars and houses.